More proof of the prejudice held by the powers that be, well, in regards to important residents at least, Lewisham (Centre), Lee & Hither Green have nine blue plaques between them. Nine! It's a disgrace, an absolute disgrace. Anyway, anger aside, some of the names on this list are rather remarkable beasts, who have had quite a significant relationship with the local area. On a few of these lists, it has become quite apparent that the custodians of the blue plaque scheme have been somewhat disingenuous with regards to where they put their blessed blue plaques. Though we're not questioning that the individuals in question lived in the abodes they're memorialised at (sometimes they actually didn't, seriously, the plaque for Benjamin Waugh in Greenwich is on the wrong house - they had one job!) 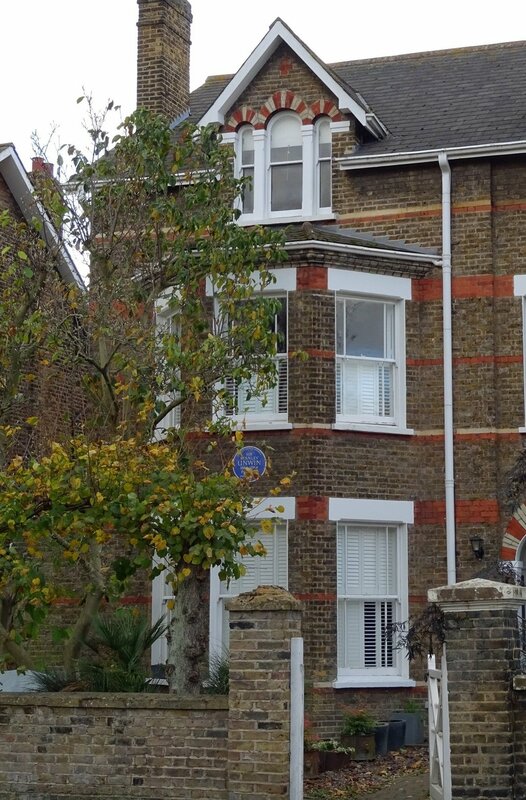 we do wonder whether it's worthwhile memorialising someone at a house and area they lived in for months - Charles Gounod's plaque in Blackheath being the best example of this. Anyway, Central Lewisham, Lee & Hither Green are a relatively amorphous trio of districts on the easterly edge of Lewisham Borough, bordering the Royal Borough of Greenwich. Their histories as urban areas is relatively recent, so, though we might complain, until the turn the of the 20th century, they were still not unfairly considered parts of Kent, and their populations were not particularly large. Anyhow, Chico apparently lived in Lee so we wait with bated breath (and sweaty terror) for his blue plaque. 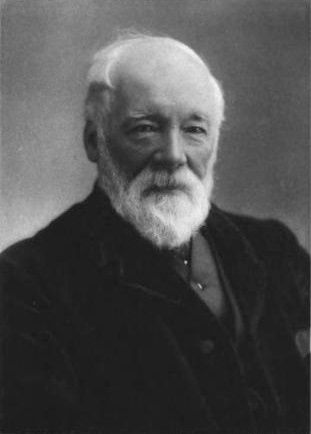 "Smiles by name, Smiles by nature", "I'll give you something to Smiles about", "I'm gonnae gi' ya a second Smiles pal" are all potential ways in which Scottish writer, reformer and surgeon Samuel Smiles may have introduced himself to the varied company he kept. Born in 1812, he wrote a number of self-help texts such as the aptly titled, and apparently big in Japan, Self-Help (1859), his difficult sophmore effort Character (1871) and who could forget the summer smash hit Life and Labour (1887) - all will soon be readily available in the upcoming compilation Now That's What I Call Victorian Self-Help 85. Beyond self-help books, he also authored numerous biographies and campaigned for social reform on a Chartist platform. 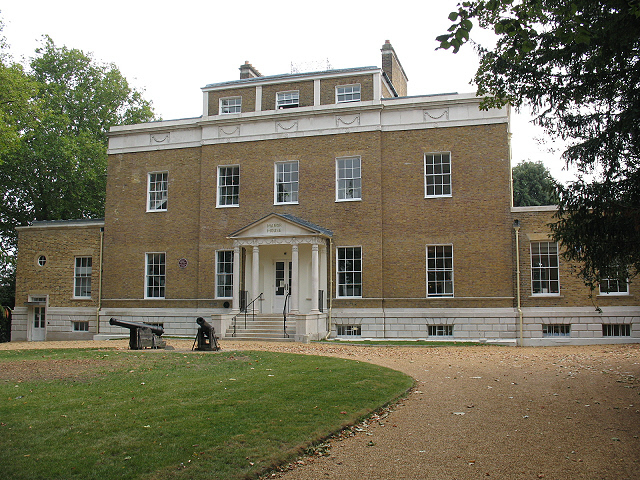 When Sir Francis Baring purchased the Lee Manor House in 1796 for £20,000 (around £2,100,000 in today's money) he was essentially the most influential merchant banker in London. The son of prosperous German-British merchant Johann Baring, Francis founded the now defunct Barings Bank in 1762 with his two brothers John and Charles. Much down to Francis' foresight in exploiting the North American market before anyone else, and a little bit of luck of course, Barings Bank grew exponentially during his lifetime, while Francis himself served as a very highly-valued financial adviser to successive British governments during the eighteenth century. When he died at the Manor House in 1810 he was 70, and his private wealth was £606,000 (approx. £43,700,000). The Baring family interest in Lee did not stop at Francis' death however, and their influence in what is known as the Lee Manor Conversation Area is very evident. The development of the land was planned and managed by the Baring family, and road names like Micheldever Road, Wantage Road, and Taunton Road are evidence of these links - the Baring family owned property in the Hampshire village of Micheldever, the Oxfordshire town of Wantage, and Francis' son Alexander was MP for Taunton between 1806 and 1826. Much of, if not all, the development of Lee at the turn of the century is owed to the work of the Baring family, and their decision to allow South Eastern Railway to construct a station (Lee Station) on their land in 1866 is proof of their foresight. Though it wasn't Francis who oversaw this development, it was him who purchased the land, and got the ball rolling. Good going Franny B. Sir Stanley Unwin, though he was just baby Stan at the time, was born in 1884 at 13 Handen Road in Lee. In 1914, and at the age of 30, he purchased a controlling interest in George Allen and Sons publishing house, which then became George Allen and Unwin (now known simply as Allen & Unwin). One of the most distinguished publishers of the twentieth century, he is possibly best known for paying his ten year old son Rayner in 1936 a shilling to write a report on a submission he had received from an Oxford academic called John Ronald Reuel Tolkein, entitled The Hobbit. The report was positive and book was published. Having achieved success with one, Unwin commissioned Tolkein to write a sequel, which would eventually become The Lord of the Rings. Unwin himself wrote and published a book called The Truth About Publishing in 1926, which has been used for generations as an authoritative guide. A firm believer in freedom and peace, he was placed on the Gestapo 'Black List' at the age of 76 during the Second World War. Edith Nesbit is pretty household name, and most will know of her as the writer of the The Railway Children (1906), which is best known for its 1970 screen adaptation starring Jenny Agutter and Dinah Sheridan. Born in 1858 in Kennington, Nesbit grew up in Eltham, and lived on Elswick Road between 1882 and 1885 with her shag-about first husband Hubert Bland (real name). While there she was a co-founder of the Fabian Society, a socialist organisation affiliated with the Labour Party, along with dear Hubert and William Morris, who had only a year before founded the Socialist League with Eleanor Marx. She died in Kent in 1924 having left a huge mark on children's literature. Now demolished to make way for some, erm, attractive flats, what is now Dowson Court was home to both Edward Owen Greening and Ernest Dowson at different times. Dowson was a poet born just down the road in Lee in 1867, most often associated with the Decadent movement. Known for coining the phrases 'days of wine and roses' and 'gone with the wind' in two separate poems, he was friends with Edith Nesbit and appears to have had a very active social life. After the death of his father in 1894 from an overdose of chloral hyrdrate, the subsequent suicide of his mother a year later, and the discovery of his own tuberculosis, Dowson began to decline rapidly and fell into alcoholism, eventually dying at the Catford home of his friend Robert Sherard in 1899, at the age of 32. He is buried in Brockley Cemetery. Around a similar time, but not really moving in similar circles it would seem, Edward Owen Greenning moved into a house on the site in 1893, and stayed there till his death in 1923. Very involved in politics from an early age, he was a firm believer in the power of the co-operative movement, and felt that they could contribute more than just trade - they could encourage art and sport, among other things. A keen gardener, he was also the editor of The Agricultural Economist and the One and All Gardening Annual. Mr Leland Lewis Duncan, or the Duncatron as he was known in more informal circles, was born at 1 Vicarage Terrace, High Road, Lewisham in 1862. A resident of Lewisham his entire life, Duncan was educated at what was then Colfe's Grammar School in Lee, after which be began a long distinguished career as a public servant, for which he was awarded an MBE in 1902. Apart from his professional life, Duncan was a mad keen antiquarian, and spent a lot of his spare time indexing and transcribing wills held at Somerset House. 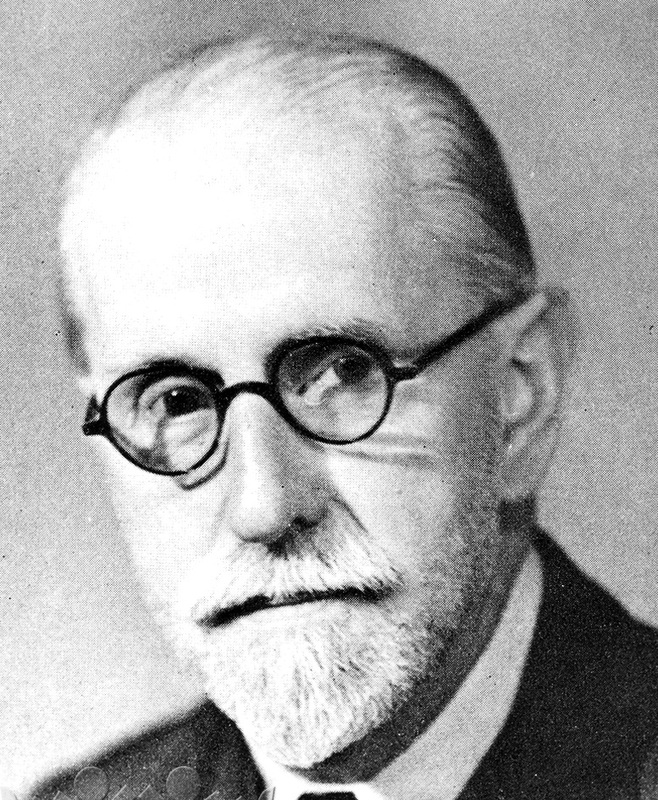 He also published rather particular histories such as The History of Lewisham Borough (1908) and The History of Colfe's Grammar School and a Life of its Founder (1910). He moved to Lingards Road in 1873, and stayed until his death in 1923. Born at 17 Somerset Gardens in 1874, Cecil M. Hepworth would go on to be recognised as the one of the earliest British pioneers of film. The son of Thomas Craddock Hepworth, a magic lantern operator, he was involved in the very early stages of British filmmaking as an employee of both Birt Acres and Charles Urban. Having founded his own production company alongside his cousin Wicks at the turn of the century, he would film Queen Victoria's funeral in 1901, release the first screen version of Alice In Wonderland in 1903, and produce his most successful film Rescued by Rover in 1905. He died in 1953. Margaret and Rachel were sisters who shared quite a few things, beyond merely living together at George Lane between 1910 and 1913. 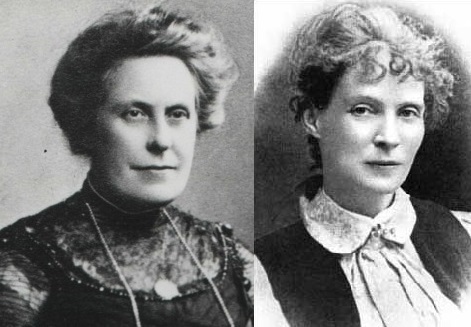 They were both Christian Socialists, members of the Fabian Society, staunch supporters of the Labour Party, and campaigned vigorously in aid of the welfare of children. Their work was fundamental in the passing of the 1906 Provisions of School Meals Act. The memorialisation of Rachel McMillan has a lot to do with the work her sister Margaret, who received most of the credit during their lifetime, but ensured Rachel was remembered and credited properly after her death.